We are ordinary people made by an extraordinary God--just like you! It's about HIM! Jesus is central. He is Lord and Savior. We are a 300 year old congregation. It's true! The congregation was first established back in 1703 in what is now known as Lower Skippack Mennonite Church. But in 1848 the Mennonite Church denomination split into two: the Mennonite Church [MC] and the General Conference Mennonite Church [GCMC]. 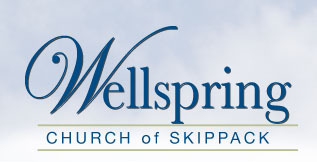 This congregaiton stayed with the original denomination (MC) but moved to the present location and started Upper Skippack Mennonite Church--now known as Wellspring Church of Skippack. Note: in 2003 the two denominations became one again = The Mennonite Church USA. Lower Skippack Mennonite Church has chosen to remain as an independent church or has affiliated with an independent group of Mennonites. You do NOT have to be born into the Mennonite Church to be a member or an active pariticipant in our church. If you are a believer and are committed to following Christ as your Lord and Savior, you are one of us! Or, we can say, we are one of you. Though denominationalism is a fact of Christian life, it is not the defining factor of Christianity. Christ is the defining factor of Christianity. It is about Him and His followers. When we get to heaven He is not going to ask, what denomination did we belong to; rather He is going to consider what kind of relationship we developed with Him. Did we accept and connect with Him? Did we believe in Him and follow Him. Did we bow to Him and confess Him to be Lord of Lords and King of Kings, Savior of the world, all deserving of our praise, adoration, and worship?